The time frame for dolphins to be ready to mat with each other depends on the species, where they live, stress, how much food they have, and even the temperature of the water they are in. With that in mind, the estimated time frames are from 5 to 13 years for females and from 9 to 14 years for the males. Within any given species, the females will be ready to mate at a younger age. Dolphins have also been identified as taking part in mating for the act and not for reproducing. However, this can be harder to prove since many of the dolphin species don’t have specific mating times. If they do mate for emotional bonding like humans though then they are one of the few creatures on Earth that do so. When there is too much stress in place, the dolphins may not mate at all. This can be part of their instincts that gets them to focus only on their own survival at that point in time. When there is enough food though and the environment is safe then there is likely to be mating activities taking place among the dolphin populations. Males often have to fight with each other in order to earn the right to mate with a given female. With that in mind, they often become physical such as by colliding their bodies into each other. They may use the fluke as a weapon to hit each other with so that they can show they are stronger than their opponent. Verbal sounds can also be used to warn a male that if he doesn’t leave he will have to engage in such a battle. In the end, it is very rare that one of them is harmed but they can both be exhausted from those efforts. Females will decide to mate with the male that wins such a battle and if they don’t response to the male, he can then become aggressive to her as well. Once the female does respond though the male will relax. They may engage in various forms of courtship including touching and verbal interactions. When mating does occur over the next several days, the couple will stay very close to each other. Then the male will go his own way in search of other females he may also be able to mate with. It can take from 10 to 17 months for the young to arrive depending on the species and their locations. 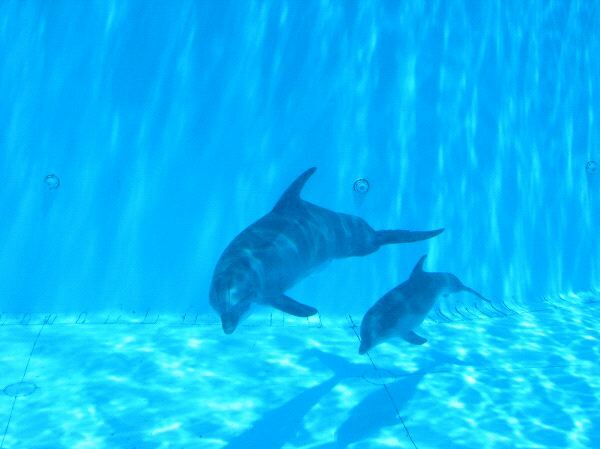 The dolphins will always be born fluke first and almost always as single births. It is very seldom that twins are born. When it is time for the calf to be born, the female will move to water that is shallow. She will also have a couple of other females come with her to help through the birth. Sometimes, it is males that assist but typically it will be females. They can offer comfort, protect the mother from predators, and they can also help the newborn get to the surface of the water for air. After the calf is born it will remain with its mother in the shallow water so that they can both rest. However, they are able to swim well from the moment they are born. They will be well protected as other dolphins of the same pod will spend their time creating a circle around the mother and the calf. They won’t let anything happen to it. When they are ready to join the pod, the young go to the center of it so that they can be well protected from any dangers. The young dolphins can weigh from 23 to 65 pounds at birth and be from 33 to 55 inches long. They will drink milk from their mothers for the first year or two but they do get introduced to fish and squid after several months. They need the fat in the mother’s milk to help them grow very fast. Once the young has been weaned, it can venture to a new pod or create its own. That is what often happens with the male offspring. 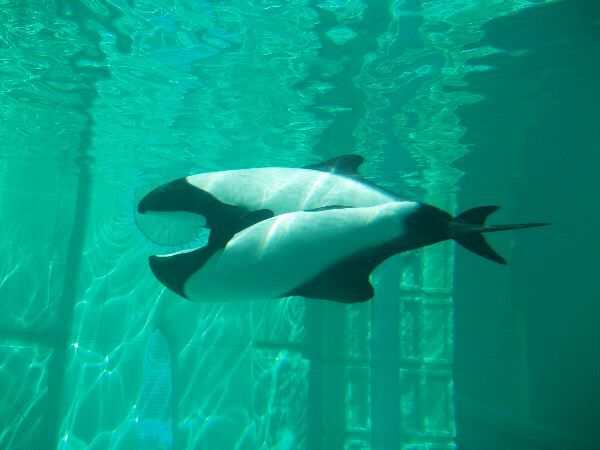 For the females, they may get to spend their entire life in the same pod as where they were born. If not, they generally will live in a very close location to their mother. Due to the amount of time it takes for the young dolphins to be weaned, it mean that the females don’t give birth every year to one. Instead, they have a new calf every 3 to 6 years. That slow rate of reproduction is a common problem with many of the dolphin species today. Many of the conservation efforts do what they can but it is hard to get numbers up when the dolphins are dying at a much faster rate than they are being born.